For many years, when an individual had a malocclusion, or misaligned teeth, options were limited to specific traditional methods, which generally included metal braces, sometimes with head- or neck gear. These could often be uncomfortable, may irritate sensitive mouth tissues and are often difficult to clean. If you have a malocclusion with crowded teeth, an overbite or underbite, crossbite or other bite irregularities, our Invisalign doctor in West Hollywood may be able to offer you an alternative to traditional braces. Invisalign aligners are a popular alternative to braces because they are virtually invisible when worn properly. Teeth will be gradually moved into alignment, and no one but you and our dentist need to be aware that you are undergoing orthodontic treatment. Additionally, they are removable. Although they should be worn for at least 20 hours a day for maximum results, they can be removed for cleaning, eating and drinking. 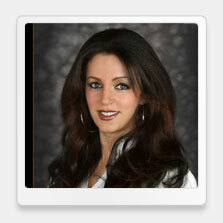 Our West Hollywood Invisalign doctor can help you better understand your options. Because not all malocclusions can be corrected with Invisalign, Dr. Ghasri, our West Hollywood Invisalign doctor, will first determine if you are a candidate for Invisalign clear plastic aligners. Certain types of malocclusions, rotations and missing teeth may require alternative forms of orthodontics. If our Invisalign doctor in West Hollywood determines that you are a good candidate for Invisalign, you will have impressions and X-rays or other images taken so that we can create a treatment plan for you based on an accurate three-dimensional representation of your mouth. This image will be used to develop the series of clear plastic aligners that will be worn for two-week periods until your teeth are properly aligned. Misaligned teeth can be more than a mere cosmetic issue. They can make eating and speaking difficult, they can complicate your dental hygiene regimen and they can lead to oral health problems, such as TMJ. Invisalign can correct minor to moderate misalignments so that you can achieve improved oral health and a naturally attractive smile. 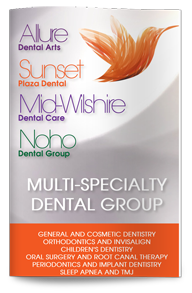 Contact our cosmetic dentist in West Hollywood today to schedule your appointment and learn more about your options.